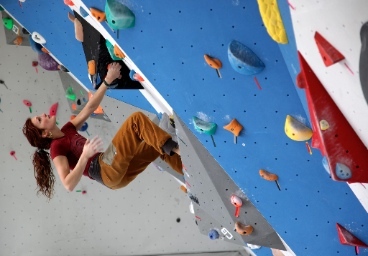 Clinics for beginners and experienced climbers. Located in the heart of Shawangunk Mountains, only 90 miles from NYC. 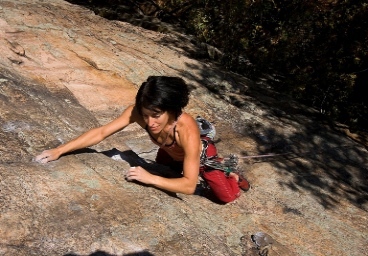 Enjoy the pleasure and excitement of outdoor rock climbing, no experience necessary. All equipment is provided. Designed for both avid and occasional gym climbers, this program will help you transfer your skills outdoors. Already have some climbing experience? We'll work with you to improve your technique. This program is designed to help experienced climbers to bring their climbing skills to the next level. 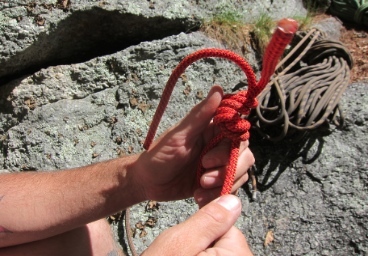 Learn rock climbing safety principles and practice using gear and building various top rope anchors. This advanced course teaches climbers how to retreat from unexpected dangerous situations. 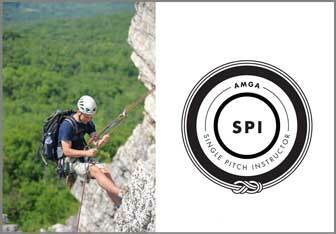 Become an AMGA Certified SPI or renew your cert!. 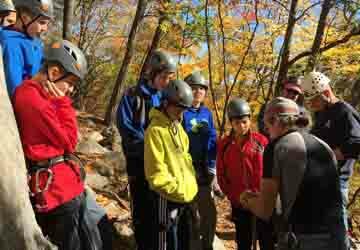 Scout groups can count on a full day of climbing and rappelling, learning to trust and count on each other. We designed this program specifically for women to help developing a unique and more efficient climbing style. 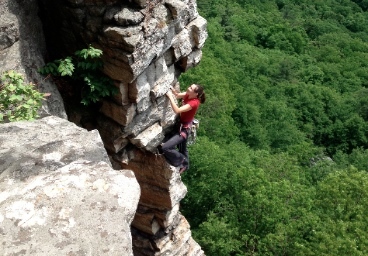 A guided climbing day is a fantastic way to treat yourself to the best routes The Gunks has to offer. 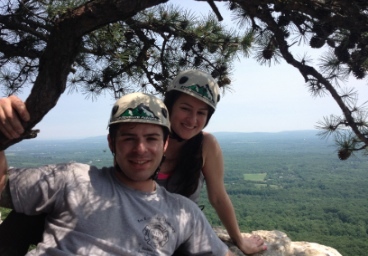 Treat your friend or your significant other with a guided day of climbing in the Gunks. No experience necessary. HighXposure is an AMGA accredited rock climbing guiding service operating at The Gunks, located Upstate New York, only 90 miles from NYC. We were founded in 1974, and have been guiding rock and ice climbing trips in the Gunks and Catskills Mountans for more than 40 years. We became an American Mountain Guides Association (AMGA) accredited guiding service in 1986, when the accreditation program was established. 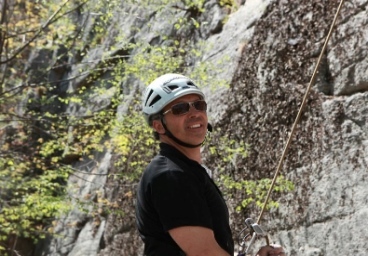 We work with clients with wide range of abilities and experience - from total beginners, introducing them to outdoor rock climbing, to avid climbers visiting the Gunks from other regions and interested in climbing the Gunks classic routes. 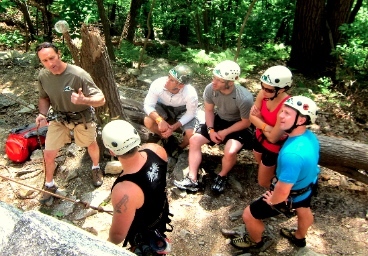 We help organizing group climbing trips - corporate outings, family retreats, adventure groups. We have extensive experience working with kids - during school breaks, we guide rock climbing outings for summer camps and boy scout groups. We also offer a wide range of climbing programs - we teach rock climbing techniques, rope management and anchors, multi-pitch, lead climbing and more. Additionally, we organize customized programs, based on your abilities and goals. We bring 40 years of high professionalism and safety. 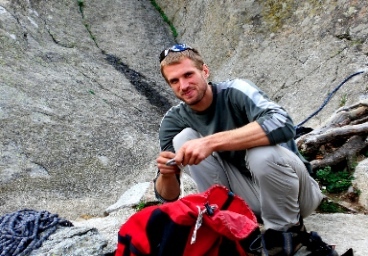 We have a great team of experienced rock instructors and active climbers pursuing the cutting edge of modern climbing. Sue is passionate about teaching and climbing. 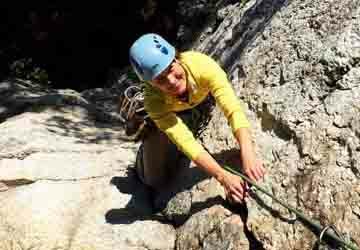 She is a boxing instructor at the United States Military Academy, and the director of the Cadet Mountaineering Club. She is an AMGA certified Rock Instructor, and an SPI and CWI provider. 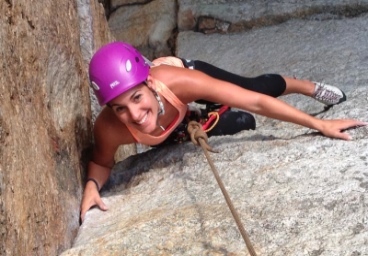 She has a long history of guiding in the gunks and will deliver an exceptional rock climbing experience. Tom is a licensed NYS climbing instructor who also holds a Bachelor of Arts in Sociology, along with a NYS Teacher Certification. He has been a guide with HighXposure for 5 years, and has been living and climbing in the Shawangunk Ridge area since 2001. Dave Gates, a.k.a. 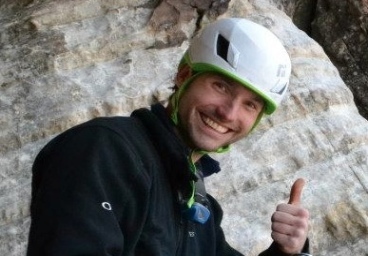 Smiley Dave, is a licensed NY state Rock Climbing Guide. Dave started climbing in 1998 at Smith Rock in Oregon. Before becoming a guide at the Gunks, Dave guided at the Obed in Tennessee and Devil’s Tower in Wyoming. 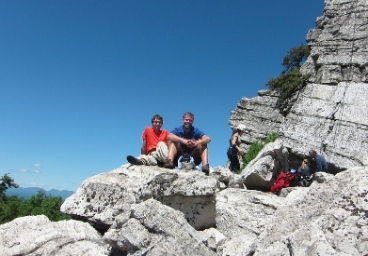 Andrew started climbing in the mid 1970s. 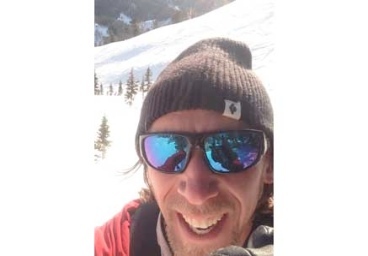 He is AMGA SPI certified and has extensive climbing experience in the Shawangunks as well as many other locations in the Americas and Europe. 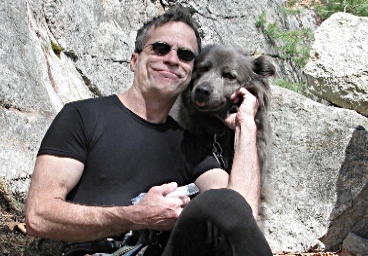 Simeon is a licensed rock climbing guide, and a certified Wilderness First Responder who has been technical rock climbing since 1995 and has taught people how to climb and mitigate risk in the vertical world for the better part of twenty years. 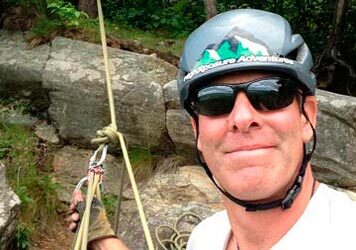 Scott Michelsen is a licensed NY state Rock Climbing Guide and AMGA certified Single Pitch Instructor. Scott is a highly motivated local climber living in New Paltz NY. 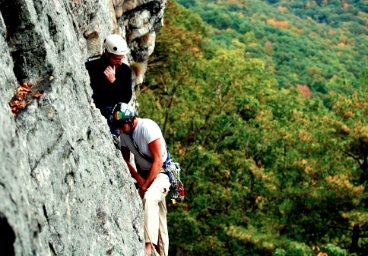 In the early 90s, I learned to climb in the Gunks. Although I moved to Boulder, Colorado in 2006, I still call the Hudson Valley home and try to make it back every season. 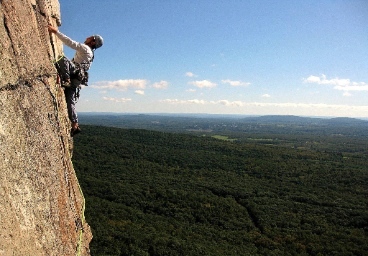 HighXposure offers rock climbing instruction at the Shawangunk Cliffs just west of New Paltz, NY, only 90 minutes from New York City. 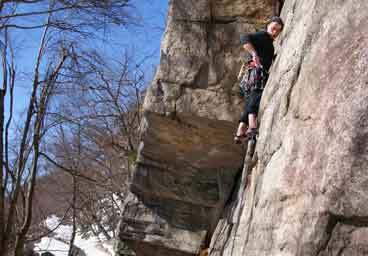 Recognized as one of the outstanding climbing centers in the United States, the "Gunks" offer a wide variety of high quality climbing opportunities at every level from beginner to expert. Easy access to the climbs and the friendly nature of the area combine to provide a comfortable atmosphere which makes for a great learning environment. With the spring rock climbing season upon us, HighXposure Adventures suggests taking advantage of our special pre season mid-week rates, as well as our new family packages. It is a great time of the year to experience all the wonderful climbing the northeast has to offer. So if you are interested in learning the newest AMGA skills and techniques or would just like to refresh the ones you already know, we are offering many new climbing clinics and classes.